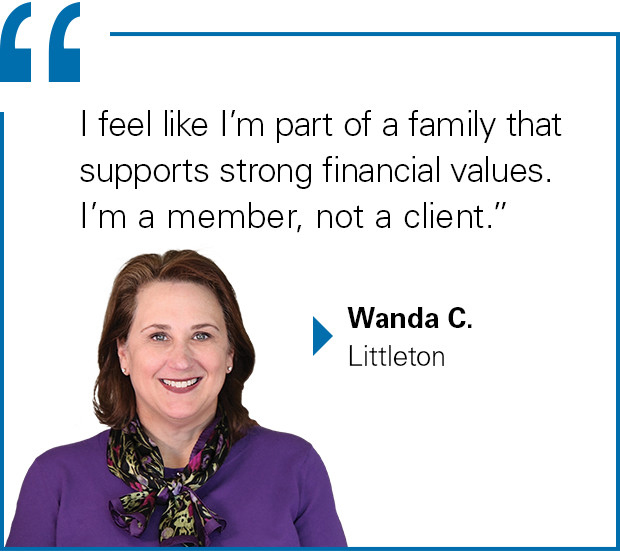 Why join LGFCU? We're so glad you asked. We're not out to put your hard-earned money in the pockets of stockholders. We're here to help you make the most of your money so you can focus on what matters to you most. From a personalized car buying service to our Mortgage Assistance Program to financial advice, LGFCU offers a variety of products and services designed to improve your life. That's our mission. And we keep our fees and loan rates low and our dividends competitive to help you keep more of your money. 2. You're not just a customer. When you're at LGFCU, you're a member and an owner. You have a say in how the credit union is run because your Share Account represents your ownership. And you and your family are members for life as long as your Share Account is in good standing, regardless of whether you retire or switch jobs. Our members often qualify for loans from us that big banks wouldn't consider, with much more reasonable rates and programs to help pay the money back. We care about you as a person, not just a number, and we want to help you succeed. 3. Your money is safe. Just like banks have the FDIC protecting their funds, credit unions have the National Credit Union Administration (NCUA). Your accounts are insured by the NCUA and you can be confident that your money is safe at LGFCU. We also offer Overdraft Transfer Service to help you keep a positive balance, and the Verified by Visa service for added security when shopping online. 4. It's an investment in your community. LGFCU invests in you, our members, and in community efforts like fire stations, ball fields and scholarships. We are dedicated specifically to local government and community leaders, the people who protect us and build our great state neighborhood by neighborhood. You can access your account at any time online with Member Connect, pay your bills on your schedule with BillPay and set up text alerts to help you stay on top of your balance. We partner with SECU to offer ATM and branch services. Our members enjoy the convenience of 1,100 ATMs and over 250 branches across the state, as well as the same friendly in-person service at SECU branches you'd expect with LGFCU. But don't just take our word for it. You'll see many members sharing their stories throughout our site, or join today and see for yourself.